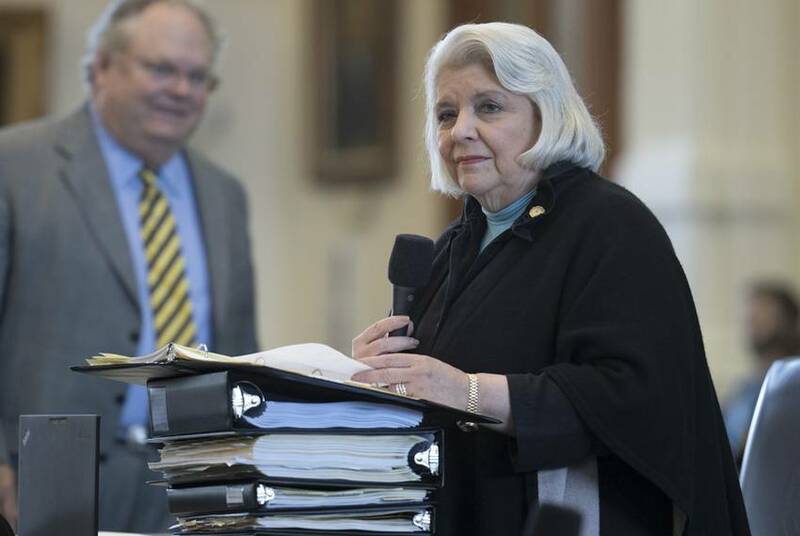 A Texas Senate bill aims to help people whose abusive partners coerce them into taking on debt by threatening violence. Miguel Gutierrez Jr. / The Texas Tribune. No matter how many hours Sherry worked in the Corpus Christi retail store she and her husband owned, she never got a paycheck. Her husband decided when she got money. He bought all her clothes, dictated which brand of lunch meat she purchased and made her prove how every dollar he did give her was spent for the benefit of the entire family. Once the kids were in bed at night, Sherry says her husband would choke and threaten her. “He’d always promise me he would put me in a woodchipper – and we had one,” said Sherry, who asked that her full name not be used for fear of retaliation. It took more than 10 years and plenty of counseling for Sherry to summon the courage to take their kids and file for divorce. But when she tried to rebuild her life, she quickly realized she was hamstrung by credit card debt, unpaid utility bills and back taxes her husband had accumulated — much of it solely or jointly in her name. “If I can’t have $20 to buy pizzas for the family, you think I can have $100 to make a payment on the credit card?” Sherry asked. Attorneys and researchers who specialize in domestic violence say survivors are often also the victims of economic abuse, a form of exploitation that financially benefits the perpetrators and makes it more difficult for their partners to leave. The nonprofit advocacy group Texas Appleseed released a report Monday that says one-third of Texans who called the National Domestic Violence Hotline in the first half of 2018 reported some kind of economic abuse. And because police officers, the legal system and financial institutions largely view married people as equal financial decisionmakers, undoing the damage can be extremely difficult. That’s especially true with what’s called "coerced debt." A University of Texas at Austin law professor helped coin that term to describe situations where victims of domestic violence open up lines of credit or finance expensive items like cars under the threat of physical violence from their partners. “There’s not a legal process by which a survivor can say, ‘This happened to me so can you please cancel this debt or can you please collect from the abuser and not from me?’” said Angela Littwin, the UT-Austin law professor. State Sen. Judith Zaffirini, D-Laredo, hopes to change that. Her Senate Bill 269 would make threatening someone into taking on debt a state jail felony on par with identity theft. “The benefits are twofold," Zaffirini said in a written statement to The Texas Tribune. "Not only can domestic abusers then be prosecuted for such behavior, but also — and perhaps most critically — victims of coerced debt gain special rights conferred to victims of identity theft via the federal Fair Credit Reporting Act." 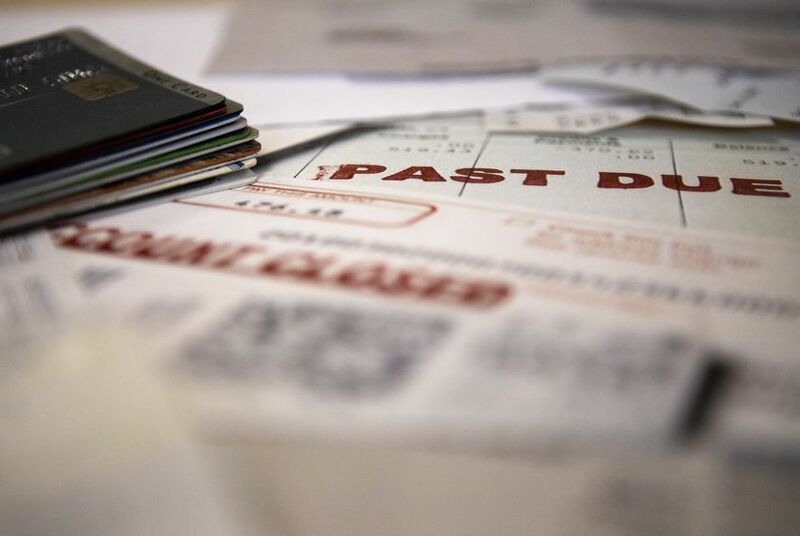 One of the Texas Appleseed report’s authors, Ann Baddour, said that people who have been victims of economic abuse often have a difficult time repairing their credit history and absolving themselves of their partner's debt. That can disqualify victims from renting an apartment, getting utilities turned or securing a job. “For all of us these days, our credit score is one of the fundamental financial and economic tools we have in our lives,” said Baddour, who is the director of the organization's Fair Financial Services Project. Cheryl knows all too well the difficulties of getting out from under the responsibilities of a spouse’s spending. After she left him in 2016, the Austin woman pulled her credit report and was shocked to find that he had opened about 20 credit cards, many of them in her name. “And I’m the girl that if I can’t pay cash for it, I can’t afford it,” said Cheryl, who also asked that her full name not be used for fear of retribution. She said when her husband volunteered to always get the mail and handle the couple’s finances, she thought she was lucky to have someone willing to take such chores off her plate. After leaving him, though, she realized he’d used her personal information to apply for a bevy of credit cards online. For months, she spent her work breaks explaining to credit card companies that she’d never authorized the accounts. “Every time you called the companies, nobody seemed to care,” she said. Baddour said those attitudes mirror how people once viewed physical abuse. “There was a time when domestic violence in the context of an intimate relationship wasn’t viewed negatively in our society,” she said. Cheryl said she spent thousands of dollars paying down debts her ex-husband incurred in her name. A judge made several accounts the responsibility of her ex-husband in the couple’s divorce decree. Her attorney, Carla Leticia Sanchez-Adams, the managing attorney of Texas RioGrande Legal Aid, still had to fight to remove many of these accounts from Cheryl's credit report and eliminate any remaining liabilities. “If you’re just an average person who doesn’t have a lawyer, you’re just going to say, ‘It was my husband who did it,’ and they’re going to say, ‘Well he’s your husband; it’s your household,’” Sanchez-Adams said. Sanchez-Adams started taking on economic abuse cases as a side project about five years ago. But after their prevalence became more apparent, she formalized the initiative and formed a team that focuses on such cases. Now her office works with dozens of domestic violence shelters to help identify economic abuse victims who need legal help. Littwin, the law professor who helped coin the term "coerced debt," said she’s now giving more presentations on economic abuse to bankruptcy and credit lawyers. Zaffirini hopes the Legislature recognizes that her bill is something that can help domestic violence survivors with problems most people don’t consider. It’s been more than three years since Sherry's divorce was finalized. She lives with relatives because she’s far from being able to qualify to buy a home. When she replaced her previous car, the interest rate on her new loan was about 18 percent. Her low credit score led to the rate, which is more than four times higher than what people with the highest credit scores can get. She has a job with a Texas school district and enjoys being able to buy things for her kids. But it’s still difficult to make a purchase for herself – even if it’s clothing for work. For awhile she only shopped at thrift stores. Today, she only buys new items if they’re on sale. “There are still some lasting effects of that abuse and having to justify in my mind that it was a good deal,” she said. Last month she finally qualified for a credit card. She plans to use it when she fills up her car with gas, then pay off the balance each month to keep building credit. The card has a $300 limit and a 29.9-percent interest rate. The average credit limit is about $8,000, according to the financial services company SmartAsset. And the average interest rate is 19.24 percent, according to WalletHub. “But I was happy because it was the first one,” she said. Correction: An earlier version of this story incorrectly described the legal work that Carla Leticia Sanchez-Adams did on behalf of Cheryl.